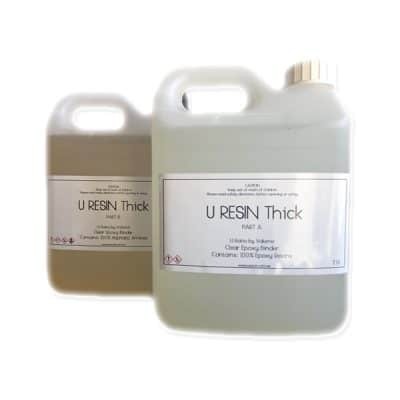 U RESIN Thick UV is a 2-part Epoxy Resin system. All our Epoxy Resin kits come including both Part A and Part B. 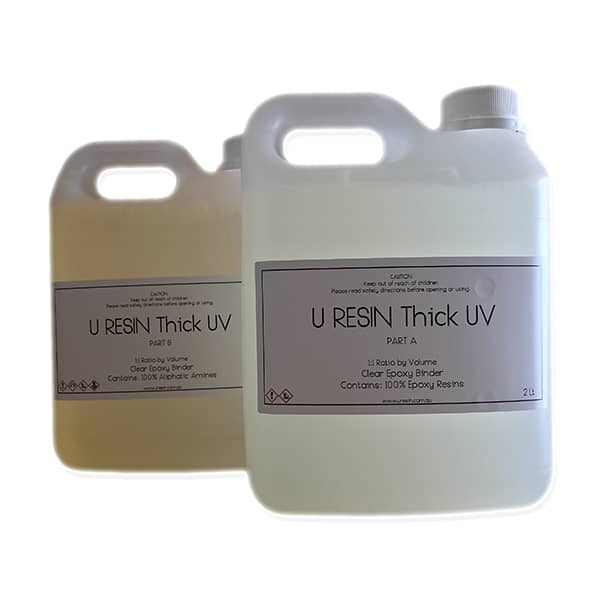 (Individual parts NOT sold separately) U RESIN Thick UV is an easy 1:1 ratio by volume. U RESIN Thick UV has a very high viscosity (like honey /maple syrup or thicker). It will hold more bubbles than our U RESIN Standard and Standard UV systems, especially during the mixing process. With a long working time of 45-60 minutes and its excellent UV stabilisers this is a great system for creating artworks, cheeseboards and more. With the high viscosity, you have much more control with the resin. It will only blend if manipulated or heated. It allows for controlled pouring, meaning less wastage down the sides of the artworks. 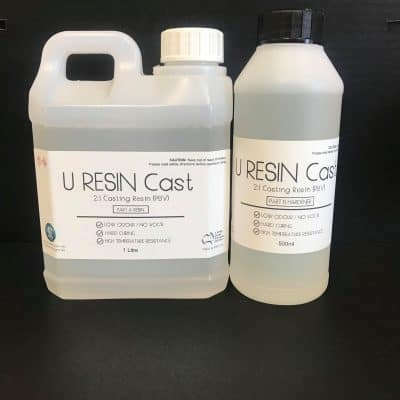 U RESIN Thick UV is a self-levelling resin system that has been designed purely for flat surface coating and provides a beautiful glossy finish when mixed, poured and cured. 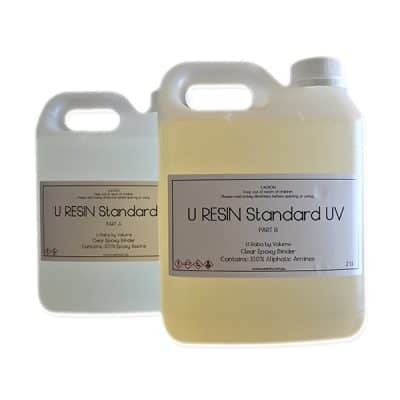 For the best finish on a clear/ top coat, see our U RESIN Standard UV resin. 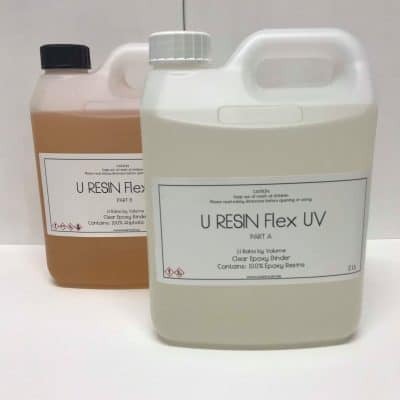 U RESIN Thick UV can withstand up to 80 degrees (Celsius) in temperature, once cured and post cured (7-10 days). This system is not recommended for beginners as it is very different to use compared to our U RESIN Standard system. All U RESIN systems are very versatile in accepting a wide range of colour pigments and powders. However, use the pigments that we have available for the best results.